Tropical weight wool and two-tone sport shoes: a lesson in warm weather elegance from the Great Duke of Windsor, pictured here in Lisbon shortly after the outbreak of World War II. Notice also the four-button stance of the double breasted suit jacket with the lapel rolling to the bottom button, thereby enhancing the height of a man not terribly statuesque. DBs with fewer than the traditional six button arrangement are suddenly back in style, though the modern versions hardly have the aplomb of Edward’s wardrobe. 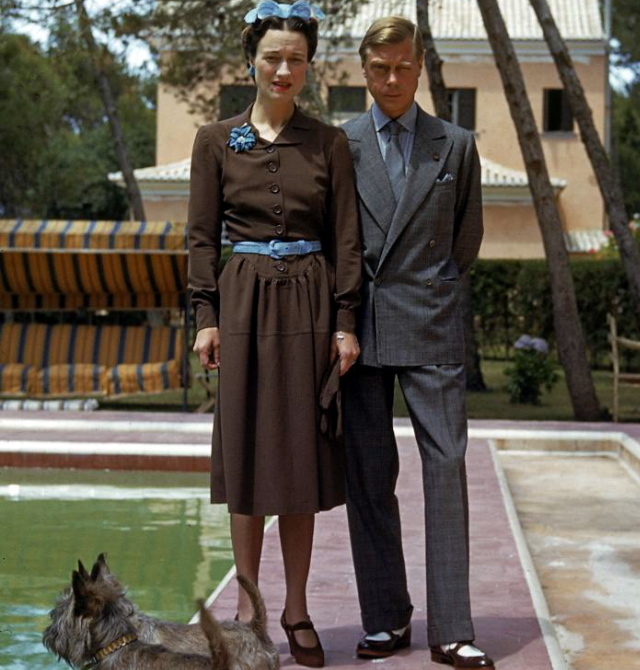 This entry was posted in Classics, Style and tagged Duke of Windsor, summer style. Bookmark the permalink.